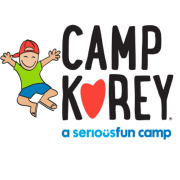 Camp Korey's mission is to honor the courage, strength and determination of children and their families living with life-altering medical conditions by providing them with a transformational experience in a fun, safe camp environment with specialized medical support. Camp Korey offers children and families an escape from the endless medical treatments that have overshadowed childhood. Campers grow stronger, braver, and build leadership skills that they take into their everyday lives. Our campers have reported an increase in self-esteem, confidence and resilience, along with a network of friends and support to help them through the tough times. We work with a dedicated team of medical professionals and program facilitators to create a medically safe camp adventure. Would you recommend Camp Korey?